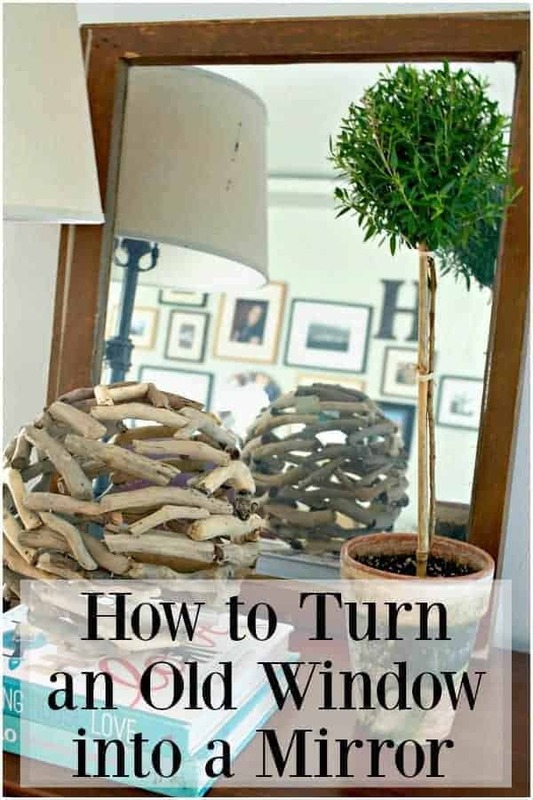 How to turn an old window into a mirror. Several weeks ago, hubs and I went to a local ReStore looking for some cabinet doors for our kitchen remodel. 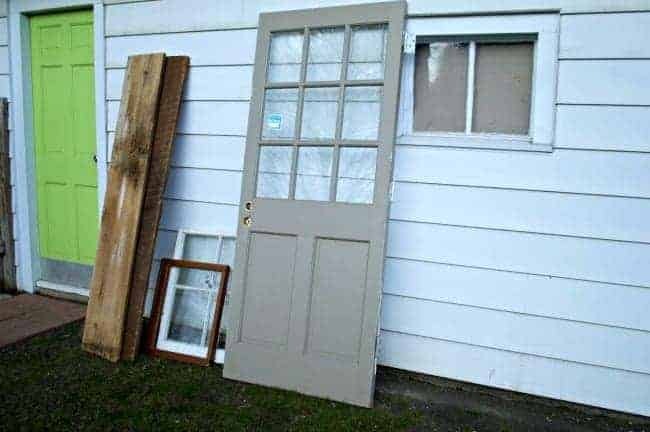 We didn’t find any doors that day but I did find this old wooden window that I liked for $1.50. I wasn’t sure what I would do with it but I figured for $1.50, I would take it home and try to use it somewhere. This week I spent some time rearranging my small entryway to try to gain more room (a never-ending quest). 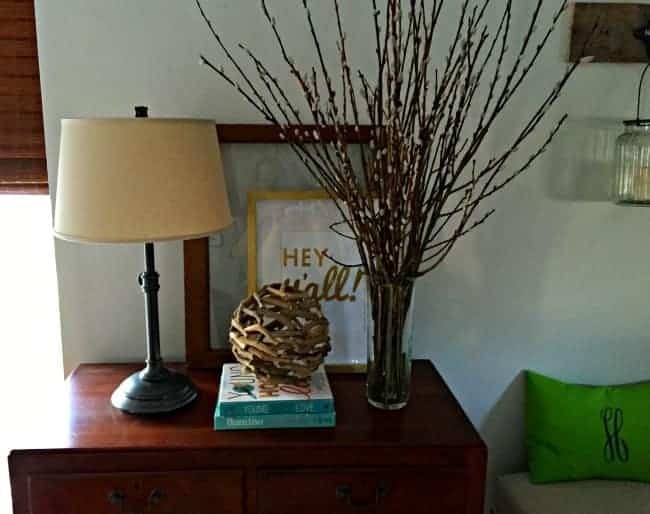 I thought about removing the small chest that sits next to the entryway bench but it’s used for storage and it also holds a lamp, that’s a necessity, so removing it is not an option. Instead I decided to remove the matching mirror and try something different. It won’t give me more room but it will be a different, lighter look. It’s a beautiful mirror but it’s time for a change so I took it down to the basement and when I saw the empty wall, I knew that I wanted to try out the old window I bought at ReStore. I didn’t do anything to it, just leaned it against the wall and left it there. After a few weeks, I thought I’d try to fancy it up a bit so I bought some mirror effect spray paint. I’d never used it before and was excited to see how it worked. The first thing I did was to clean the window really well, making sure it was completely dry. Then I taped off the side that I would be painting. The directions said to spray it standing up but the paint ran down the window so we laid it down. Once the window was prepped we sprayed 5 quick coats, 1 minute apart. This stuff is potent, so you want to make sure you do this project in a well ventilated area. It didn’t look like much when we were spraying but after it dried, which was in record time, it looked pretty good..kind of antique-y. It looks hazy and old, like it’s been around a while. You definitely wouldn’t find a mirror like this in the store but I think it fits the age of the window. The next thing I did, because I can’t leave well enough alone, was to paint the frame. Just a quick dry brush followed by some light sanding. I wanted it to look like it has always been that way. I’m not sure if I like the painted frame better than the natural but I love the mirror. Now I’m trying to figure out what I can mirror paint next. 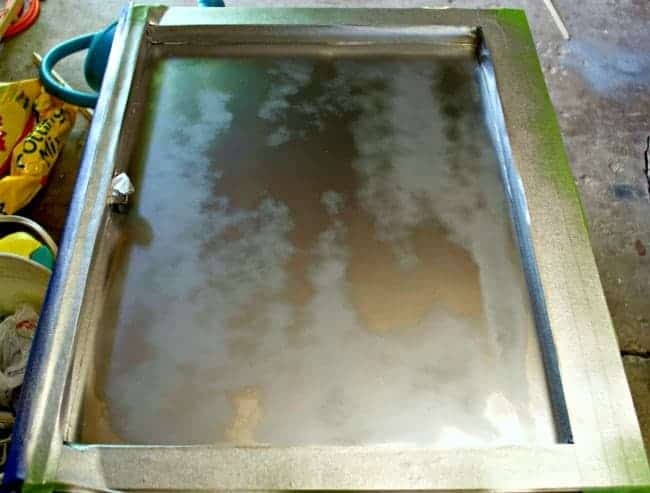 Have you ever used the mirror paint before? If you would like to save this idea for future reference, please PIN! This looks fantastic! I never heard of this paint. Does it work on other surfaces? I love your ideas, I just found your blog! 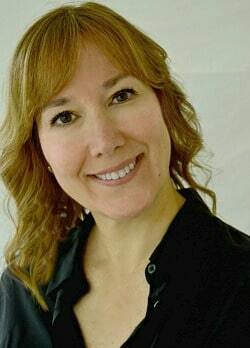 Thank you so much Jane and welcome! So glad that you found me. I think others have used this on wood and it works great on glass. I love the results. Cute! I love having as many mirrors around as possible! Thanks Giedre. 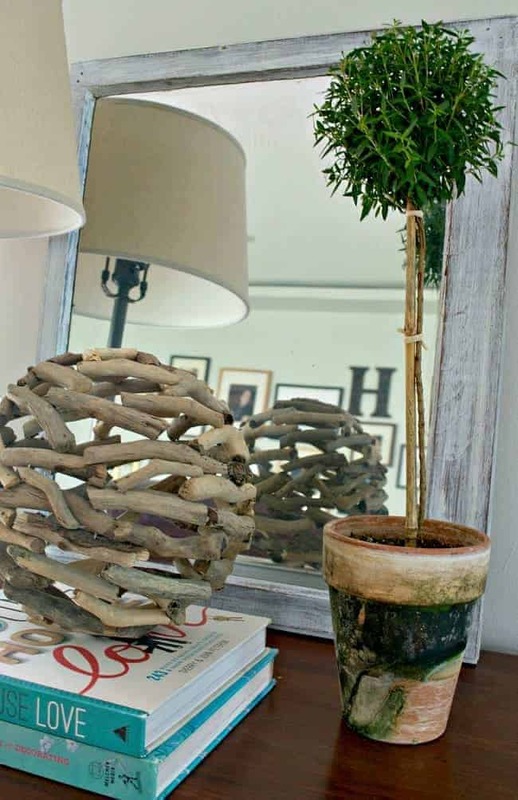 Mirrors are great for decorating, don’t you think? Well, you’ve given me the green light to use mirror paint. It looks great! I love what you did to the frame too! Thanks Cristina! I was surprised by how well it worked and would totally recommend it. 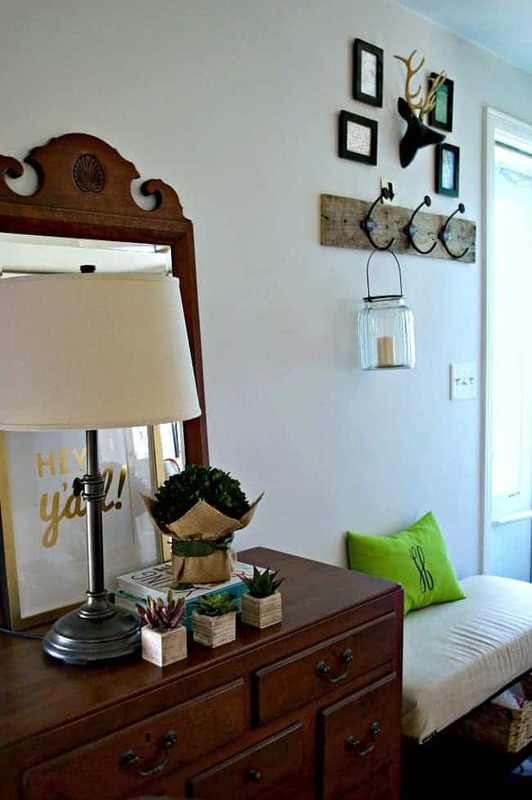 I have yet to try this!…The window turned mirror looks great!….So glad you had great results. It was a fun project Shirley and I was surprised by how well it came out. I love the transformation from window to mirror. I’ve read about the paint before but never tried it. Good to know that you give it a positive review. So you have to spray the back side of the glass? I wonder what would happen if you sprayed a glass vase or some other glass object. Glass plates might look cool, especially with a candle sitting on top. The reflection would be really pretty. Also, I like how you styled the top of the dresser. 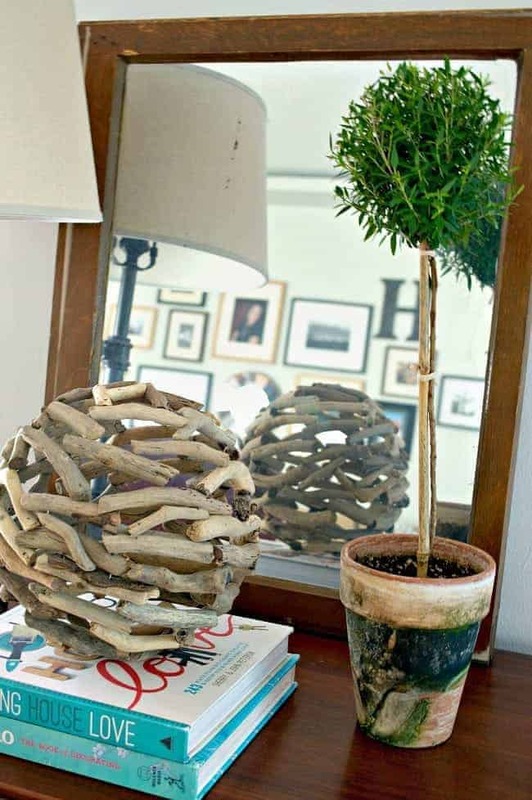 That driftwood orb thingy is cool! Thanks Shirlee. I wasn’t sure how it would turn out but I’m really happy with the results. 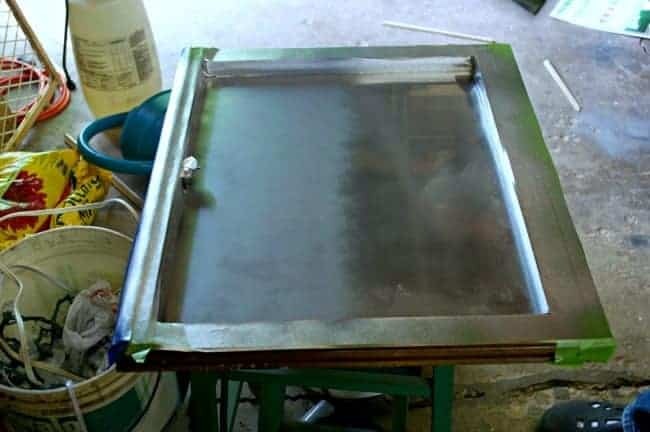 Glass plates would look cool. If you ever give it a try, I would love to know what you think and see your results. I had a good Mother’s Day, despite our awful weather. I hope yours was good as well. Thanks so much for visiting and I hope you have a great week! Hmmm, maybe you could email a few pics MJ. 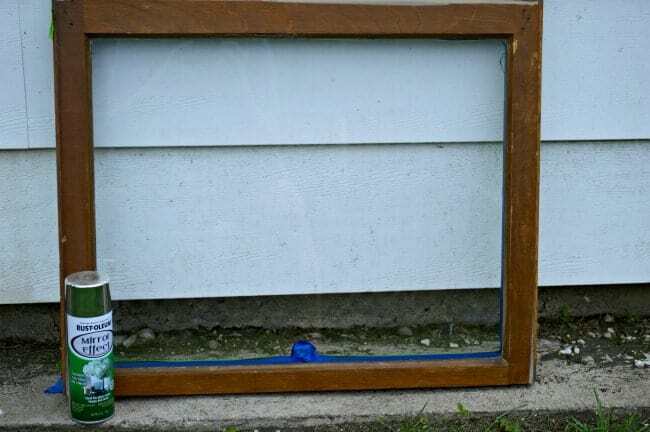 I had never heard of mirror spray paint, I must try this out. Yes, you must Debbie. 😉 It was so fun to use. I’m trying to figure out how I can use it again.